A new service has launched nationally aims to take the beauty industry into the 21st century by transforming the way we book beauty treatments making it effortless for everyone: customers and salons. The comprehensive Beauty Map of South Africa, GoBeauty app is ultimately the map of beauty establishments: hair, nails and beauty salons, spas, laser clinics, mobile beauty services and makeup artists, aesthetic and skincare clinics. With a choice of over 400 salons and spas across South Africa it caters for wide variety of needs in all corners of the country, with multi-location spa chains but more importantly also small local independent beauty salons, and mobile makeup artists and nails services to your home or office. 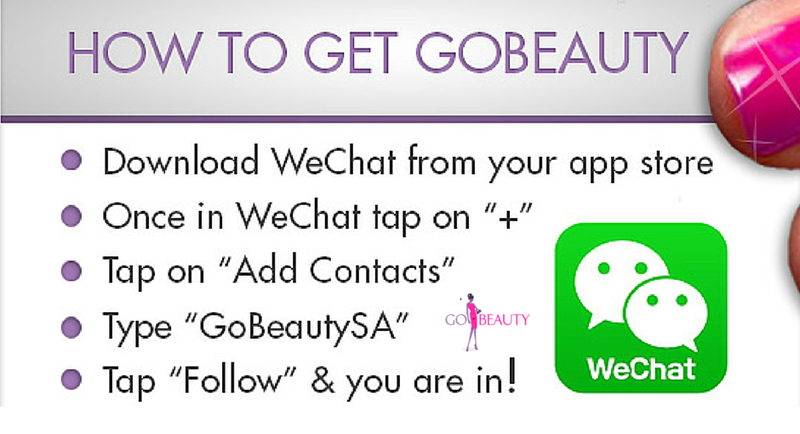 GoBeauty App is available on WeChat and millions of users already using the WeChat app do not need to download another app, just follow GoBeautySA. Maggs on Media called it “Uber for Beauty” and said that it promises to change the way we book beauty treatments. Ideal for women on the go, who need a time out for their beauty treats. Taking the beauty industry into the 21st century, one wonders why something so brilliant was not invented before. How to get the GoBeauty App?